Stephen has lent his support to a new ivory surrender launched by the International Fund for Animal Welfare (IFAW) to help protect elephants from further slaughter for the illegal ivory trade. Members of the public are being invited to surrender their own ivory which will be destroyed as part of a campaign to close the UK’s ivory market and save this iconic species from the threat of extinction. 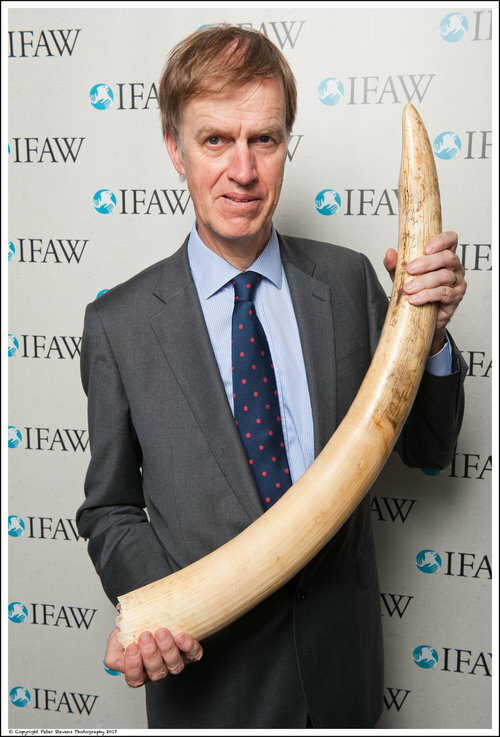 IFAW, which has run previous successful public ivory surrenders in the UK, believes it is vital now more than ever before that the British public stand up for elephants by helping to end consumer demand for ivory products and keep up the pressure for a domestic ban on the ivory trade. New polling released by IFAW reveals that the vast majority of the UK public want to protect elephants with a UK trade ban and do not wish to purchase ivory themselves. An overwhelming 95% of respondents polled by YouGov stated that they would not be interested in purchasing antique ivory.